COLUMBUS, Ohio -- Ohio has revoked the operating license of one of the state’s few remaining abortion clinics on the grounds that it failed to obtain a required transfer agreement with a nearby hospital for emergencies. Women’s Med Center of Dayton has 15 days to appeal the order, which was signed Wednesday by Rick Hodges, the director of the Department of Health. The clinic said it will do so. Hodges said the license is being revoked because the facility failed to name an adequate number of physicians to provide the backup care necessary to qualify for an exception to the hospital rule. His order fell in line with the recommendations of an independent hearing officer. Ohio Right to Life spokeswoman Katie Franklin said the state’s largest anti-abortion group is grateful to Hodges and the department for holding Women’s Med accountable. Right to Life and its local affiliate called last week for the state medical board to reopen its investigation into the case of a woman there who the state found had her pregnancy terminated without proper consent. “We’re very grateful to see that action is being taken on this facility, and we are hoping it will spare thousands of lives in Dayton in the long run,” Franklin said. NARAL Pro-Choice Ohio deputy director Jaime Miracle said that the group will stand behind the Dayton center and the medical services it provides to local residents and that it will go to court if necessary. “We will not let politics get in the way of health care,” Miracle said. Ohio requires ambulatory surgical facilities to have emergency backup agreements with nearby hospitals or to obtain a variance from that requirement. Public hospitals may not participate in transfer agreements and Dayton-area obstetricians have been intimidated by abortion opponents as the clinic sought additional backup doctors. That and other restrictions have prompted closures of clinics around Ohio. An Associated Press review last year found that the number of abortion providers in Ohio had shrunk by half amid changes to the law over the previous four years. 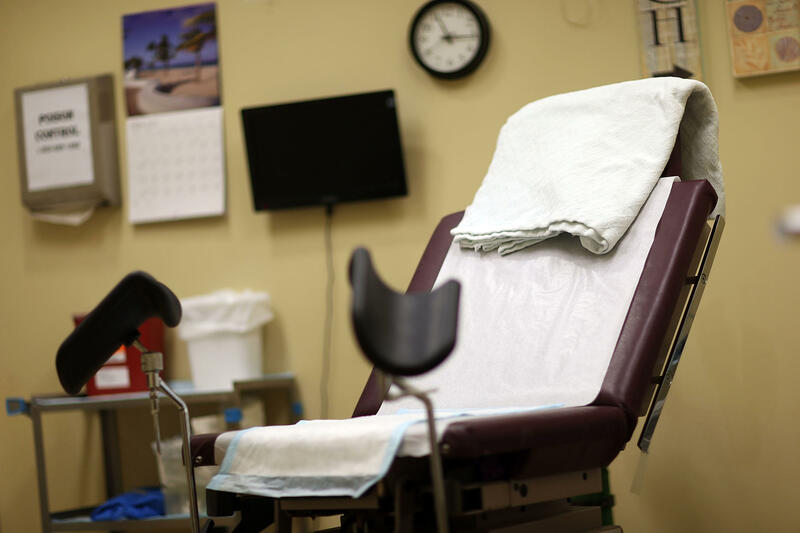 Nine clinics, mostly in big cities, now provide complete abortion services, and two others offer limited options to women seeking the procedure. Jennifer Branch, the clinic’s attorney, said the state Health Department allowed Women’s Med to operate with two backup doctors for emergencies for many years. In 2015, the department requested three doctors and the clinic complied. Weeks later, she said, they said four would be required. The anti-abortion group Created Equal had launched a campaign aimed at calling out doctors involved in abortions, which included posters, mailers and vehicles circulating through the doctors’ neighborhoods publicizing their names.